One of the most intimidating things as a new investor is getting your head around how to properly value a stock. How do you know whether a company’s share price is too high or too low? There are a number of methods for determining this, and the proper approach can vary depending on the type and size of a company you are evaluating. Some methods look only at the company’s fundamentals, while others are based on comparing a company to another. One of the most common methods for valuing a stock is the dividend discount model. This model uses dividends and expected growth in dividends to determine proper share value based on the level of return you are seeking. It’s a fairly good way to evaluate large blue-chip stocks, in particular. Stock Price - The price at which the stock is trading. Annual Dividend Per Share - The amount of money each shareholder gets for owning a share of the company. Dividend Growth Rate - The average rate at which the dividend rises each year. Generally speaking, the dividend discount model is best used for larger blue chip stocks, because the growth rate of dividends tends to be predictable and consistent. 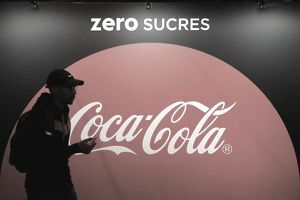 For example, Coca-Cola [NYSE: KO] has paid a dividend every quarter for nearly 100 years and has almost always increased that dividend by a similar amount annually. It makes a lot of sense to value Coca-Cola using the dividend discount model. As of July 2018, Coke was trading at about $45 per share. Its annual dividend per share was projected to be $1.56. Coke has increased its dividends by roughly 5% per year, on average. In other words, an investor can expect an 8.46% annual return based on its current share price. If your goal is to determine whether a stock is properly valued, you must flip the formula around. As you can see, the formulas matchup, but what if, as an investor, you would like to see a higher return? Let’s say, for example, you want to see a 10% return. What would the appropriate price be based on the current dividend rate and growth rate? Thus, you may decide that as an investor, it makes more sense to wait for Coca-Cola’s price to drop in order to get the desired return. Conversely, another investor may be comfortable with a lower return and would not object to paying more. The dividend discount model is not a good fit for some companies. For one thing, it’s impossible to use it on any company that does not pay a dividend, so many growth stocks can’t be evaluated this way. In addition, it is hard to use the model on newer companies who have just started paying dividends, or who have had inconsistent dividend payouts. One other shortcoming of the dividend discount model is that it can be ultra-sensitive to small changes in dividends or dividend rates. For example, in the example of Coca-Cola, if the dividend growth rate were lowered to 4.% from 5%, the share price would fall to $42.60. That’s a more than 5% drop in share price based on a small adjustment in the expected dividend growth rate.